On Wednesday, Jemmy Jasmin along with Max Jean-Gilles spent some time at Toys R Us being kids for a day. 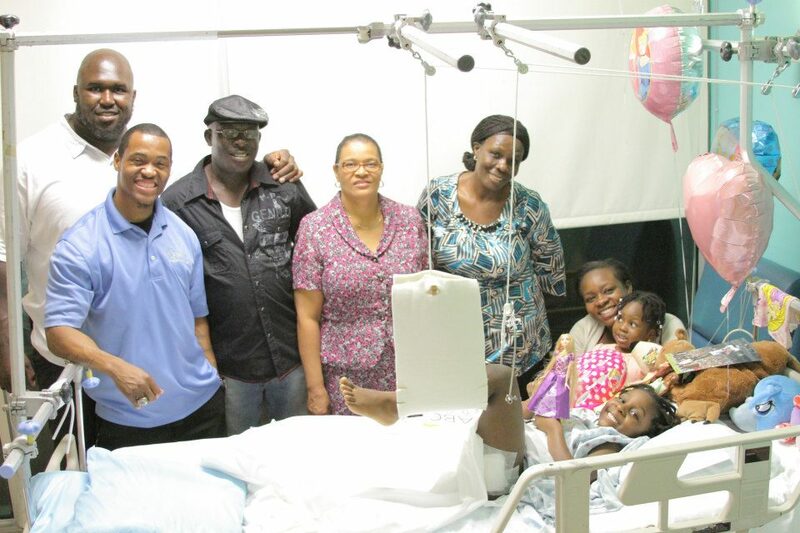 With smiles they shopped for young McKayla Bazile. Bazile was an unfortunate bystander to a drive-by shooting, of all places at a funeral home in Miami, FL. where 2 people were killed and 9 wounded. The Stars of Tomorrow Foundation jumped into action. Max Jean Gilles (NFL Free Agent Offensive Lineman)along with his good friend Jemmy Jasmin (founder of Stars of Tomorrow Foundation) saw the story and went to work. If you follow our blog here at www.thegivingathlete.com you already know some of the work this foundation continues to do in South Florida. This is just a small sample of what this foundation is involved with.